UNESCO and the Lee Seung-yuop Baseball Foundation 이승엽 야구장학재단 signed an agreement at UNESCO Headquarters in Paris on 13 December 2018, to collaborate in supporting the Asia Pacific Youth and Sport Task Force and hosting a flagship event of the Task Force – the 2019 Sport & the SDGs Youth Funshop to be held in Seoul, Korea, in June 2019. Mr Lee Seung-yuop is a world-famous baseball player from the Republic of Korea and head of the Lee Seung-yuop Baseball Foundation he has established to promote the values of sport. He met Ms Nada Al-Nashif, Assistant Director-General of UNESCO for Social and Human Sciences, to sign an agreement on collaboration on the Youth and Sport Task Force Initiative and the 2019 Sport & the SDGs Youth Funshop to be hosted, in Seoul, Republic of Korea. Youth and Sport Task Force is a collective of young leaders who use sport to make a difference at the grassroots level. 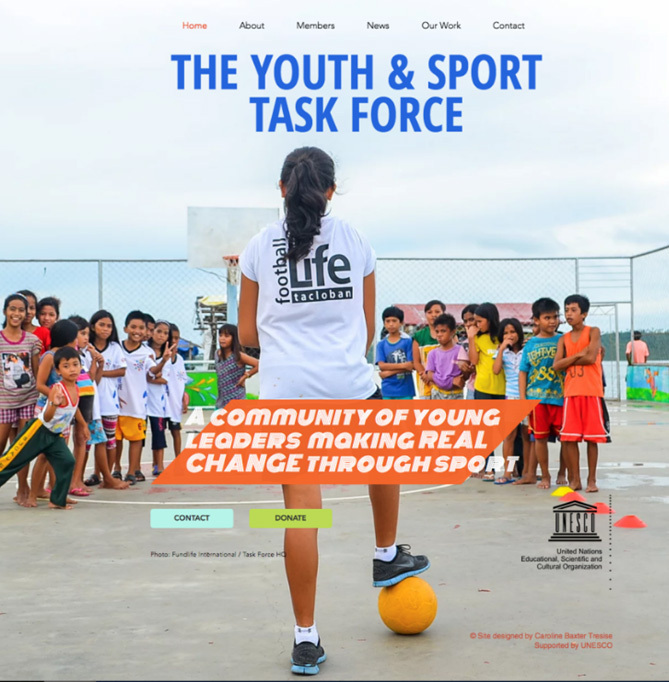 Established by UNESCO in 2017, the Task Force is dedicated to improving the lives of the most vulnerable and marginalized and advancing the UN Sustainable Development Goals through the power of sport. • Develop a special focus on safeguarding youth and children involved in sport. The opening ceremony will draw thousands of spectators through the involvement of high-level representatives and celebrities, making it the first large-scale youth event in Asia-Pacific to focus on sport for development and peace.